Excellence in dentistry begins with a careful diagnosis and treatment plan to establish the goals we will achieve together. Communication and long-term relationships are our priority. We are caring, skilled professionals, dedicated to keeping our patients informed and knowledgeable about their dental health care. Our office proudly offers general and cosmetic dentistry, children dentistry, implant dentistry and various cosmetic services including; teeth whitening and porcelain veneers. Dr. Stahl received her DDS degree from the prestigious USC Dental School. She also holds a Bachelor of Science degree in Biochemistry from UCLA. Dr. Stahl is a member of the ADA, CDA and Orange County Dental Society. 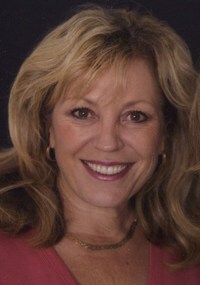 She is also a longstanding member of the renowned Newport Harbor Academy of Dentistry. Laguna Niguel, CA dentist, Cheryl A. Stahl, DDS is a dental professional dedicated to excellence in general dentistry, restorative dentistry & cosmetic dentistry. Dr. Cheryl A. Stahl, your highly trained Laguna Niguel, CA dentist is proud to serve Laguna Niguel, CA and surrounding communities with many services including Dental Exams, Cleanings, X-rays, Fluoride, Dental Makeovers, Teeth Whitening, Porcelain Veneers & Crowns. Please come and visit our Laguna Niguel Cosmetic & Restorative Dentistry, the professional dental office your local Laguna Niguel, CA dentist. Laguna Niguel Dentist, Dr. Cheryl Stahl is dedicated to cosmetic dentistry such as Teeth Whitening, Veneers and more. We are looking forward to your visit to our Laguna Niguel, CA 92677 dental office.